Fall is here and that means it is time for pumpkins, mazes and everything scary! 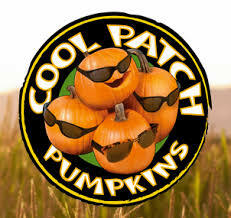 This Saturday, September 22 is the opening of Cool Patch Pumpkins in Dixon. It has a 40-acre pumpkin patch for you to walk around and find that perfect pumpkin to carve. It also holds the World Record Corn Maze, fun zone, hayrides, food and much more! Starting this Saturday it will be open everyday from 9:00AM to 8:00PM. So grab your kids and your wagons and come have some fun!